Well, I was in France yesterday, which is not as far as you might think – from where I’m living in Germany, it’s only 20km or so to the border. There’s little more exciting on the weekend than ‘going to France’ (which sounds a whole lot better than ‘going 20km across the border’). I love France. The sheer marvellous-ness and deliciousness of the food is perfectly true. Anytime I’m there, I feel a thrill of delight at the endless culinary adventurous-ness my mind and taste buds are inspired to. 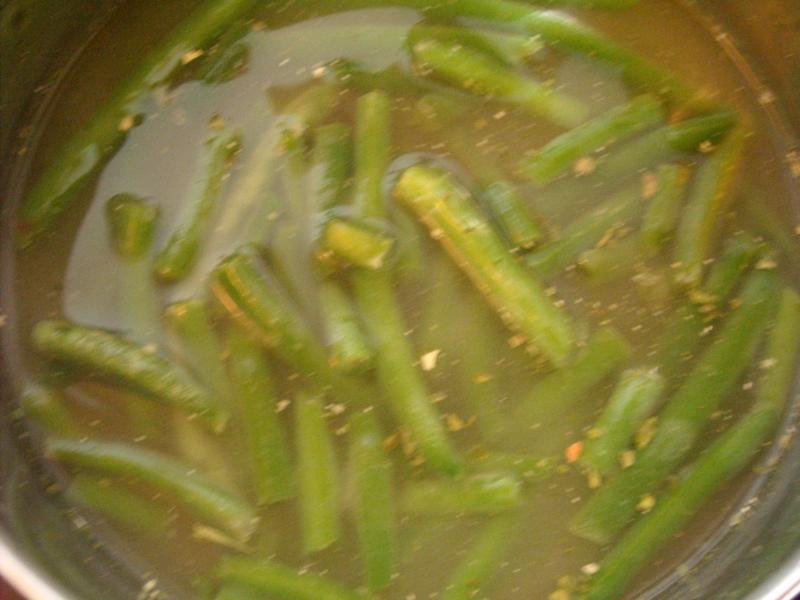 INGREDIENTS – A quart of French beans, 3 oz. of fresh butter, pepper and salt to taste, the juice of 1/2 lemon. Unfortunately, I have to confess that the beans I used weren’t French, nor were they the variety known as ‘French beans’. But that’s OK – German beans are just as good and it’s the method, not necessarily the vegetable, which makes this a ‘French mode’ dish. 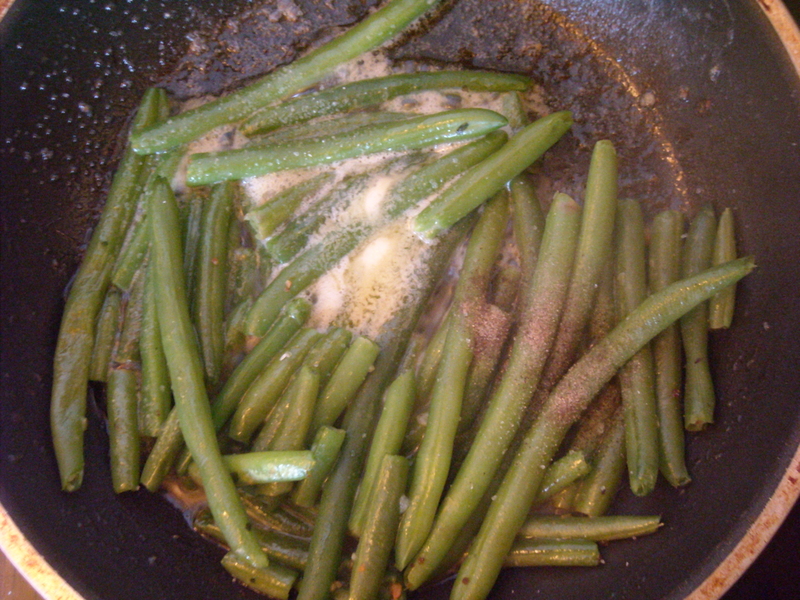 This didn’t take long to put together – boil beans, toss them into a fry-pan to drain off the remaining moisture, add the butter, salt, pepper and lemon juice and voila! My boyfriend, even though I was totally convinced that he’d hate them, really seemed to enjoy this dish. 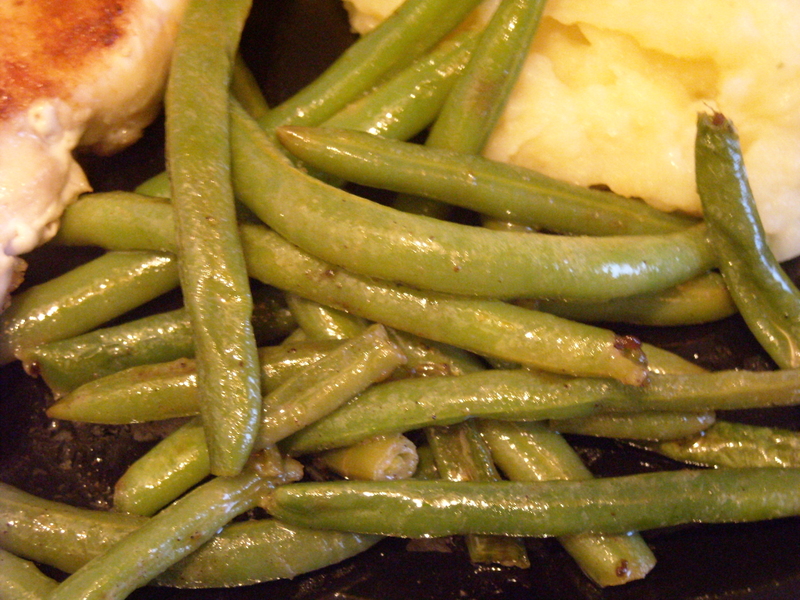 I’ve never thought of adding lemon juice to beans before, but it worked really well. I think I overdid it slightly, giving it a bit of an unexpected tang, but it was as “nice, good, lovely” as my boyfriend said it was. This entry was posted on May 9, 2010 at 9:36 pm and is filed under food. You can follow any responses to this entry through the RSS 2.0 feed. You can leave a response, or trackback from your own site.